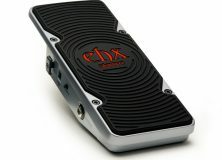 Effect pedal masters Electro-Harmonix’s latest innovations have included the new Next Step line of expression pedals. They are those wah pedals that have no moving parts and thus nothing that wears down over time and breaks. Instead they use an accelerometer (much like the device in cell phones that moves things around on the screen when you go from portrait to landscape) to determine the angle of the pedal and ultimately the tone of the effect. 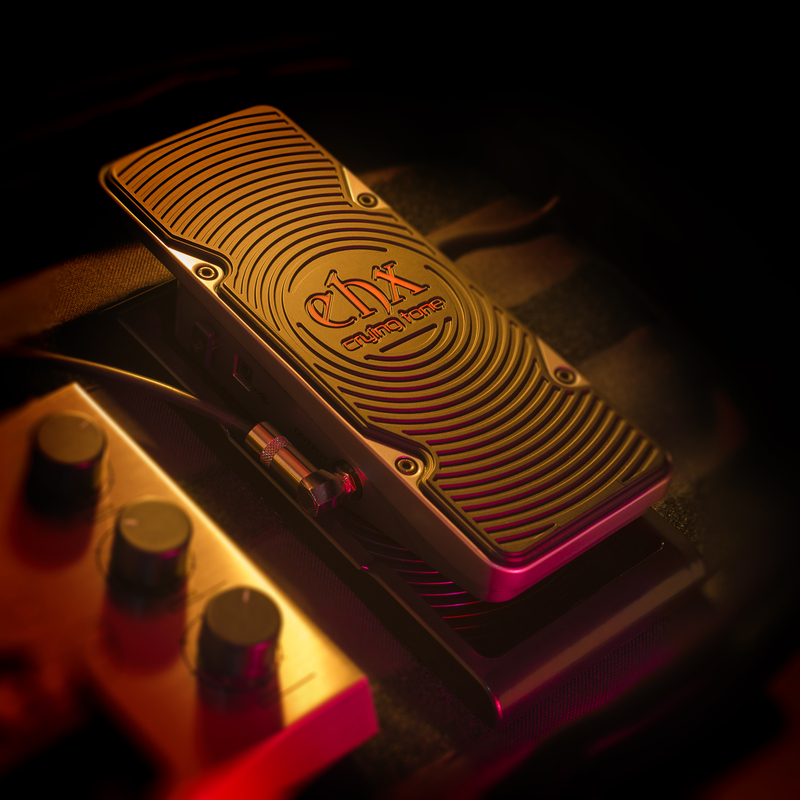 But ever since the beginning, and quite consistently still, people have commented that the pedal’s design comes with some limitations. The big one that I hear the most is that the pedal can’t fit on a pedal board. Its angled bottom just doesn’t permit it. 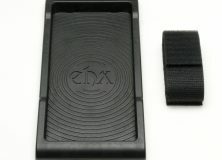 So whether it’s because there’s been so much demand for some means to accommodate this handicap, or if it’s something EHX has had planned all along, the a cradle for fitting Next Step pedals on a pedal board has been realized. Now you can put your Crying Tone on your board with the rest of your prized pedals and hit the road just as easily as ever. The Cradle is a simple… well… cradle (the name’s pretty appropriate). 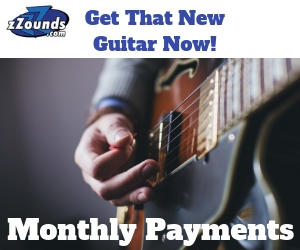 It measures 8.875” x 4.375” x 0.625” and it mounts to a pedal board with a hook and loop fastener. 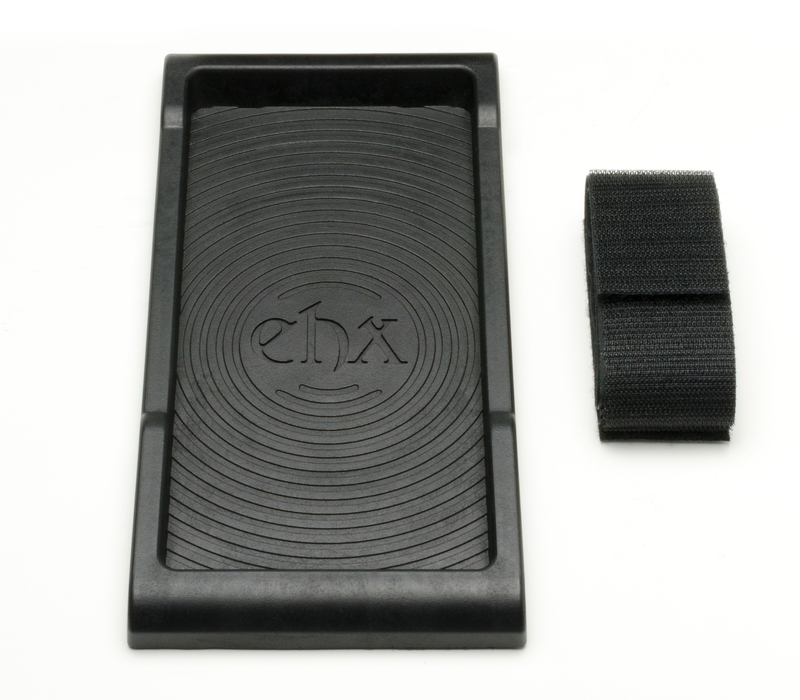 It’s made of a lightweight and durable polymer that permits the expression pedals to move back and forth uninhibited. A safety strap is included to tether the pedal down when transporting the board. At the moment availability is still a bit up in the air. The most accurate thing I can say is it’s coming soon. The list price for one of these things is $16.96, so they’ll be pretty affordable by the time they hit shelves. 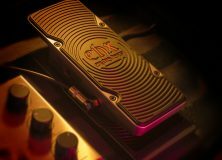 I’ve already gone into details about EHX’s Next Step pedals, both in the past and earlier in this article, so I’ll give you the abridged version here. 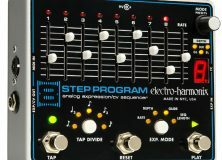 The Next Step pedals introduce a new phase in expression pedals without any moving parts, and it comes in four different flavors. 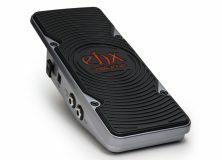 Of those four flavors are the Crying Tone wah and the Talking pedal (both which were personally reviewed by Dave Willard) as well as the Pan and the Volume pedals, each with its own unique flair.